"Whatever You Are Doing, Keep It Up." (PRLEAP.COM) Doctors recognize that bacteria causing gum disease can impact your health and have been searching for better treatment options for years. Advanced dental technologies are helping to improve patient care. These proactive and comprehensive tools detect risks for gum diseases and allow for minimally invasive treatment at the earliest opportunity. The tools include bacterial DNA tests and prescription Perio Trays® that deliver medication deep under the gums. Incorporating these tools into treatment plans can have a positive impact on patient health. Jill Wade, DDS, MAGD and Donna Starford, RDH of Stonebriar Smile Design in Frisco, Texas are well acquainted with advanced dental technology and received the Orkos Award for professional excellence treating a patient at high risk for periodontal disease. The patient was referred to Dr. Wade by his endocrinologist who noted continually high inflammatory markers in his blood work. The endocrinologist and Dr. Wade had both studied the Bale/Doneen Method™, a science based approach to proactively identify and manage risk factors for heart attack, stroke and type 2 diabetes prevention. One of those important risk factors is gum disease. Dr. Wade was a natural referral because she understood the risk factors as outlined in the Bale/Doneen Method™ and is also committed to achieving wellness through preventative care. 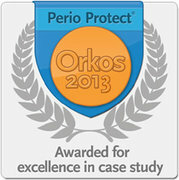 The Orkos Award was founded by Perio Protect LLC to recognize excellence in case study presentations for periodontal treatment. "This case study caught our attention because it didn't fit the usual submission patterns for the award," explains Perio Protect Program Development Director Dr. Tanya Dunlap. "Not only is there unusually good interdisciplinary collaboration between a physician and dentist, thanks to the Bale/Doneen Method™, but patients typically present with bleeding gums or other signs of disease. This patient did not have those symptoms." Dr. Wade agrees that the case is noteworthy: "The patient understood the importance of preventing oral disease and insisted on proactive treatment. Because his physician reported better results in his blood work after dental treatment, this case indicates the positive influence a dental Wellness Program can make in a patient's overall health." Dr. Wade's Wellness Program includes a proactive, systemic method of collecting clinical and scientific data to help eliminate educated guess work often needed for treatment and to reach optimal patient health. OralDNA® analysis is one of the technologies utilized in the Program to determine the risks for developing gum disease or to determine the microbiological extent of the disease. The test identifies bacterial species that are known to be associated with periodontal disease and present in the patient's mouth. Because of other health concerns, the patient wanted a risk assessment like this DNA test that would give him opportunities to be proactive in treating disease causes, not just treating the symptoms. The first DNA test was performed in June 2012 and results showed 5 bacteria with a known association to periodontal disease to be above the test threshold, indicating a rationale for adjunctive periodontal therapy. Systemic antibiotics are frequently recommended in these cases, but the patient and his physician had reservations because past experience with antibiotics had left the patient with painful digestive side effects. Their concerns are not uncommon. Many patients, doctors, and even the Center for Disease Control and Prevention have concerns about prevalent oral antibiotic usage. In this case study, the patient and Dr. Wade agreed to start adjunctive treatment with prescription Perio Tray® delivery of Perio Gel® containing 1.7% hydrogen peroxide. The Perio Tray® is a non-invasive prescription device used to place medication into the sulcus or periodontal pockets, the spaces between teeth and gum tissue where bacterial communities grow. Dentists prescribe the custom fabricated Perio Tray® to fit precisely over the individual patient's teeth and gums. The Trays have a special sealing system that comfortably holds medication deep under the gums. Dentists also prescribe the best medication for Tray usage. For this patient, Dr. Wade prescribed two daily treatments of Perio Tray® delivery of Perio Gel®, lasting ten minutes each, for the first month. Thereafter, she recommended one ten-minute treatment a day. In addition to Perio Tray® delivery, the patient also requested professional hygiene care and frequent bacterial testing, which Dr. Wade included in the treatment plan. At the outset of treatment, hygienist Donna Starford completed professional debridement therapy to physically remove the bacterial populations. The patient was then instructed to use a chlorhexidine rinse twice a day for two weeks along with a Sonicare toothbrush and air floss. After this initial phase, on August 30, 2012 the patient returned for a professional hygiene cleaning and daily Perio Tray® delivery began. The patient returned on September 20 for another professional hygiene cleaning and a second periopathogen DNA test, which resulted in a reduction of bacterial loads and fewer species above the test threshold. On October 4, the patient returned for a third recall visit including hygiene prophylaxis and a third DNA test which revealed only one bacterial species above the threshold. When the fourth, fifth, and sixth tests were completed respectively on October 17, December 3, and January 3, 2013, no bacteria were above the test threshold. These results in decreased bacterial loads are consistent with research findings. According to Dr. Duane Keller, the inventor of the Perio Tray®, usage of this 1.7% hydrogen peroxide gel has been shown to breakdown the cell walls of oral bacteria when the hydrogen peroxide gel is held in place 10 minutes. Hydrogen peroxide delivered into the pockets by the Perio Tray® also adds oxygen under the gums. "This is important," he says, "because many of the dangerous bacteria in the mouth are anaerobic and oxygen prevents their proliferation. The trick of course is getting the oxygenating medication under the gums for a long enough time for it to work, and this is the benefit of the Perio Tray®." The goal of all perio treatment is to stop the progression of the disease. In this preventative case, the goal to decrease the potential systemic inflammatory burden caused by oral bacteria was also realized. "This pro-active approach," Dr. Wade argues, "confirms the importance of dental care to general wellness." When the referring physician completed additional blood tests, the markers looked better than ever. "The exact words spoken over the phone," she recalls, "were 'Whatever you are doing – keep it up.'" She intends to do just that and to continue to collaborate with physicians for optimal patient care. Dr. Jill Wade graduated from Baylor College of Dentistry in 1995, where she maintains ties as a resident and teaching fellow in the Advanced Education of General Dentistry program. Dedication to continuing education was reflected in 2000, when Dr. Wade was granted fellowship in the Academy of General Dentistry and in 2010 when the Academy granted her mastership. Her hard work and commitment to dentistry were also honored by the Dallas County Dental Society in 2001 when she was named "New Dentist of the Year." Dr. Wade's full-service practice includes cosmetic dentistry, restorative care, and a complete Wellness Program. 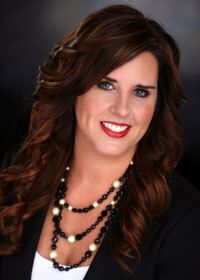 To contact Dr. Wade's office, call 972-377-7800 or visit her website www.stonebriarsmiledesign.com. For additional information about the Orkos Award, go to www.theorkosaward.com. To learn more about the Perio Protect Method®, visit www.perioprotect.com or call 877-434-GUMS (4867). The innovative Bale/Doneen Method™ can be explored at www.baledoneen.com.